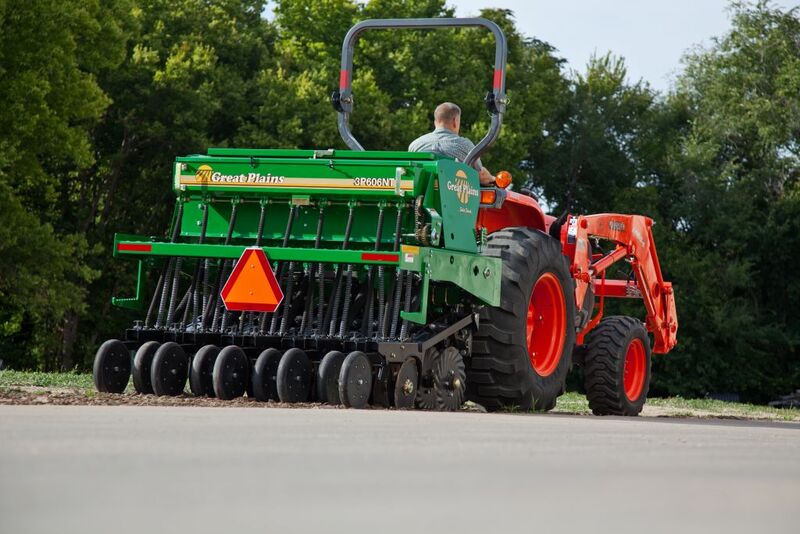 Great Plains 3P606NT 3-Point Mounted No-Till Drills allow you to get close to field edges and, with our proven ground drive, no hydraulics are needed. Standard equipment on this machine is small seed box with agitator and weight brackets. 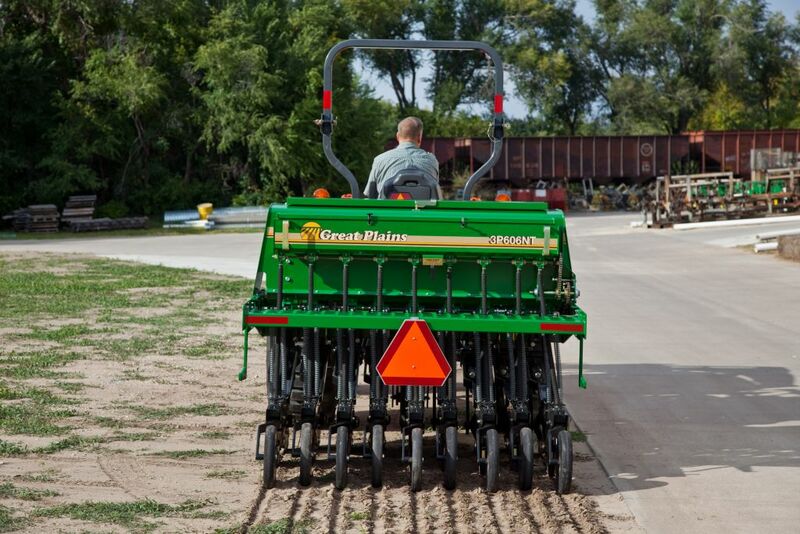 This heavy-duty no-till drill is loaded with features, including 450-pound (204kg) pre-loaded coulters, a calibration crank that is convenient to access, a ground-driven metering system, rain-tight seedbox lids, and our finest double disk no-till opener. 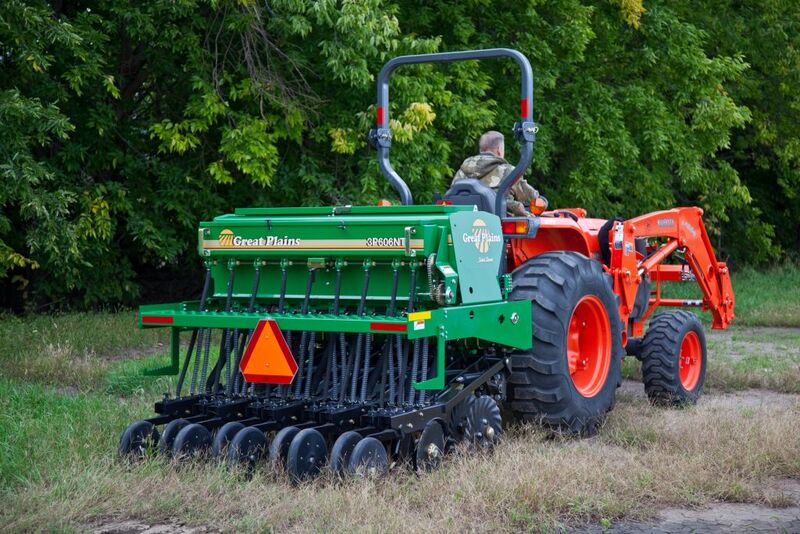 This rugged 6'(1.83m) seeder is ideal when space is limited or when maneuvering among trees and other obstacles is required. 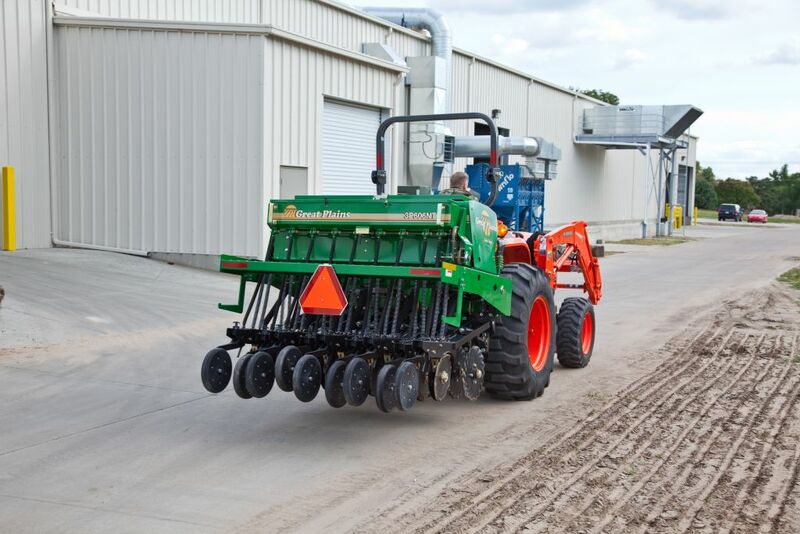 The lead coulters have 4" (10cm) of stagger to aid in residue flow while preparing a mini-seedbed for the 06 Series Openers to plant into. Coulter blade is our exclusive 5/8" (16mm) Turbo blades.